CEMUS Forum actively organizes open ovents in collaboration with various actors in the local and wider community. We have many events free and open to the public including lectures, workshops, discussions and film showings throughout the year, and a Uppsala Sustainability Festival at the end of each semester. Much of the envisioning, planning and delivery work of this is done in collaboration with our students. Events are intended to attract not only current university staff and students, but also alumni, government officials, interested public and organizations. We aim to bridge the gap – between theoretical and practical, the young and the old, and the academic and non-academic worlds. This is our place to create a meeting place – for people interested in transdisciplinary education and sustainable solutions – to transcend boundaries. Contact Sara Andersson, Outreach and CEMUS Forum coordinator, or Sanna Gunnarsson and Katelin Markcrow, CEMUS Forum coordinators, with your questions. 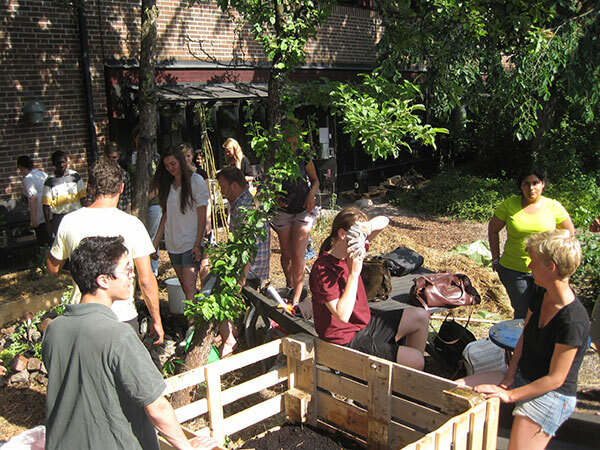 We are currently working with actors such as Folkuniversitetet, Uppsala Municipality, Riksteatern, and Sigtunastiftelsen, with projects like Framtidsakademin , to create learning spaces for Sustainable Development outside the walls of Uppsala University and the Swedish University of Agricultural Sciences. CEMUS is also partnering with other institutions of higher learning such as Schumacher College and universities world-wide interested in student-led higher education for sustainability. At the end of each semester, CEMUS organizes a festival to celebrate, share, and present the great work that students at CEMUS have done. The festival is co-created by students, course coordinators, researchers and actors from the local and wider community. Lecture series on current issues: open to the public (in Swedish). Framtidsakademin offers public lectures by researchers that address questions of environment, development and sustainability. The lecture-series consists of five lecture per semester, free of charge and open for all, run in collaboration with Folkuniversitetet. The theme for Spring 2019 is (Bio)diversity. See our calendar on the right and the events page for the latest open lectures, seminars and workshop at CEMUS. It is always free and open to the public, including any students and university staff. 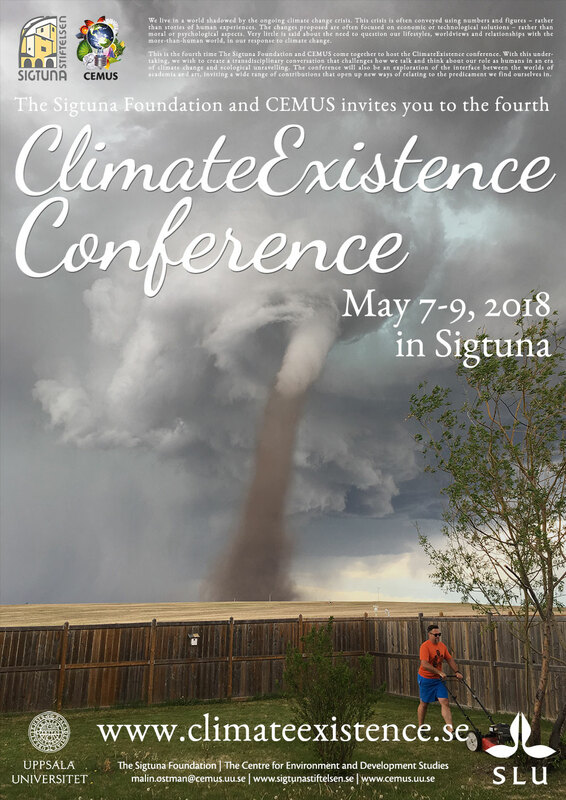 The most recent conference that took place was Climate Existence 2016 in Sigtuna, on April 6-8 and the next ClimateExistence is held May 7-9, 2018. Over the years CEMUS has organised several conferences and symposiums on different themes – The Uppsala ekonomi- och miljömässa, UEM 2005, KlimatExistens 2008 and ClimateExistence 2010 in collaboration with the Sigtuna Foundation, the Uppsala Sustainability Conference 2008-2013, Sustainable Mining – A Contradiction in Terms or a Practical Possibility? in 2014 and Generation of the New Economy – Youth Economics Festival organised together with Schumacher College among others. CEMUS hosts annual alumni events to help (re)connect former and current students, staff, and other CEMUS friends. In 2017, a Panel Discussion was held on March 18th followed by a dinner mingle. Events are open to both former and current students and staff, and aims to give opportunities to expand your network. CEMUS Library/Lab/Lounge at Villavägen 16, campus Geocentrum, is a meeting place for students and others, where you can study, find course literature (only to be read in CEMUS Library), work on projects or just relax. You can book it for events in line with CEMUS acticitivies and issues in the paper calender on the billboard. Kollaboratoriet Uppsala is a physical space located in central Uppsala overlooking the river, with the purpose to be a multi-purpose space for different types of activities and events – collaborations, crossing boundaries, and developing ideas for a better world. CEMUS is recognized by the United Nations University as a hub and platform to catalize and promote transformative learning initiatives in Uppsala, called “Regional Centre of Expertise on Education for Sustainable Development.” This will continue to be developed within the Uppsala centre for sustainable development in collaboration with a wide collection of societal actors and organizations. The work to further develop the platform is continued, and involvement from everyone interested is most welcome. Uppsala University hosted the first international workshop on Global Citizenship in the Matariki Network of Universities. The workshop, facilitated by CEMUS, took place on April 18-21 2016 and included participation from students and faculty from 6 universities in the network. The two initial strands for the program are “Empowering Learners” and “Community Engagement”. 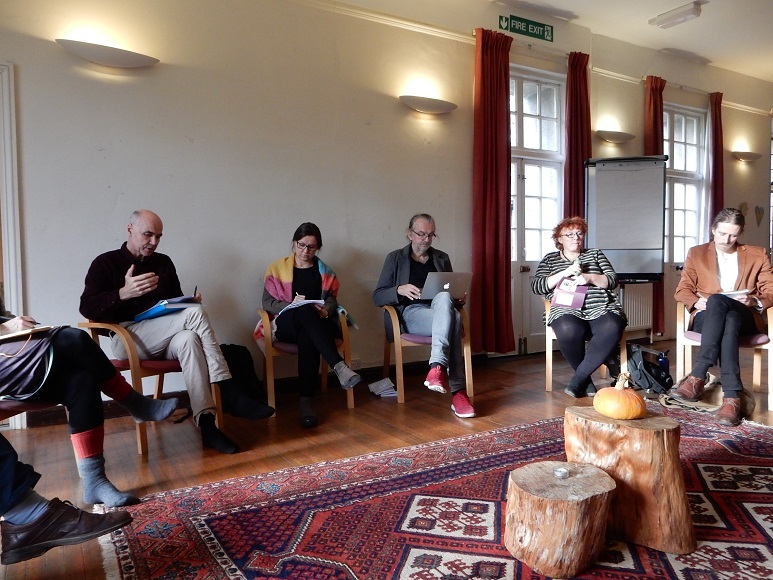 CEMUS is a part of a new 2-year Erasmus+ project (2018-2019) together with Sogn Jord- og Hagebruksskule (Norway), Centre for Ecological Economics and Ethics at Nord University (Norway), Schumacher College (UK), and Friends of the Earth Denmark. The project explores what competences and skills are needed in order to create new social and ecological enterprises (or, make a living out of working with sustainability), and how we could support this through our courses and as educational institutions. CEMUS Roots is a dynamic and self-governing student-run group, inclusive to all. It was established in order to allow students to take an active role in influencing the way that education is conducted at the center. Active participants have in the past taken on the roles of CEMUS student representatives attending university faculty and CSD board meetings. Conferences, field trips, lectures, workshops, film showings and open-panel discussions are just some of the types of events which the group has realized in the past, both with and without the cooperation of staff.In CEMUS Roots students have the opportunity to realize their visions for a more sustainable culture, and fill in the gaps of their education in ways which are most beneficial to their learning.For more information visit: http://roots.cemusstudent.se or join the Facebook group and Facebook page. Flood (former ceMuse) is a student-run online magazine in which students of CEMUS and Uppsala University provide commentary and in-depth pieces on the issue of Sustainable Development that are interesting and important to the writer and the wider audience. A collaboration between CEMUS, Riksteatern and the Research Node Mind and Nature. 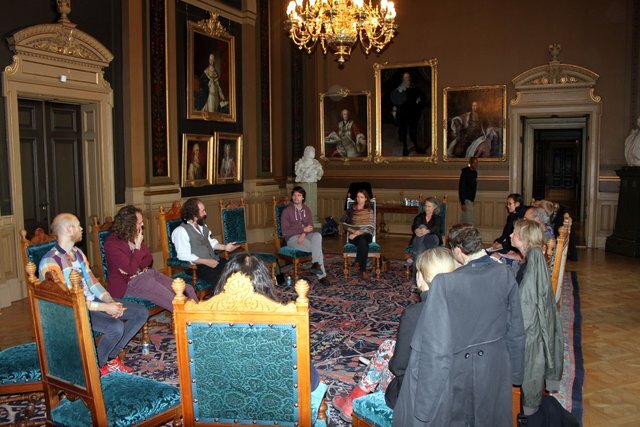 On the first Friday of every month, an international guest artist visits Uppsala to initiate conversations that unsettle some of the frames and assumptions that shape our understanding of the world – A world in the shadow of accelerating climate change. Each Framebreaking Friday engages students, researchers, educators and the interested public, in a variety of gatherings that explore the spaces in-between – between disciplines, between the world of art and academia, and between humanity and the more-than-human world. The REALS Project (Resilient and Ecological Approaches for Living Sustainably) is a project run by Permaculture Sweden in collaboration with Swedish, Russian and Belarussian partners. CEMUS is a partner in the project that aims to create networks and intercultural learning between Sweden, Russia and Belarus, with a focus on socio-ecological resilience and sustainable lifestyles. CEMUS is a student-initiated, transdisciplinary centre at Uppsala University and Swedish University of Agricultural Sciences. CEMUS started as a student initiative with its first course Humanity and Nature in 1992. We offer undergraduate and masters level sustainability courses, have different meeting places in Uppsala and work with different collaborative outreach projects and activities.